Join us in celebrating the power of students who are changing the world. Discover this year's 18 winning Better World Projects submitted by students across the US and stay tuned for project updates as students work together to transform their communities for the better. Contributing to a better world is the norm at more than 150 EL Education public schools across the country, where academics are joined to character and service. This year, we’re helping our schools take service learning to a new level for our 25th Anniversary with our inaugural Better World Project initiative. 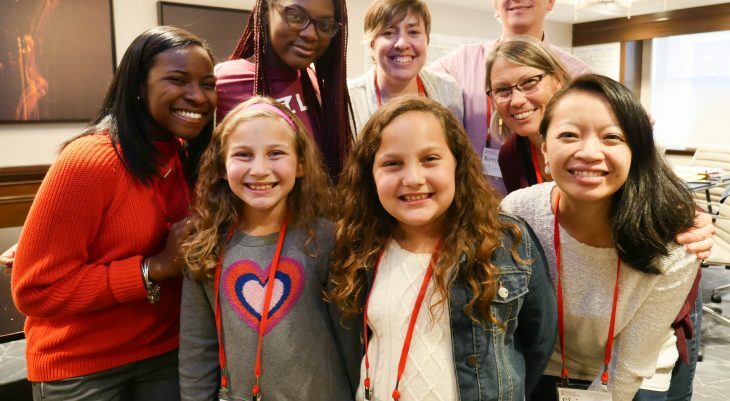 A committee of students, teachers, and leaders selected 18 exceptional Better World Projects from submissions across the country. Students leading winning projects will receive mentorship and documentation of their journeys and impact this year. The model projects and hundreds more will be shared across the country on Friday, May 4th, 2018: the first national EL Education Better World Day. Help us celebrate the 18 model Better World Projects chosen this year, and the citizen scholars behind each one. 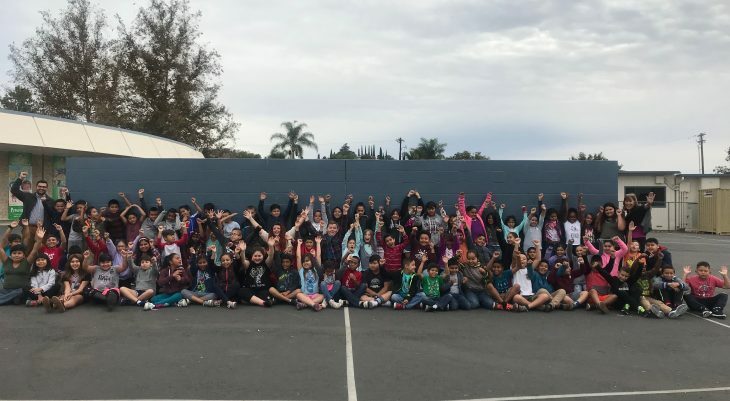 Second grade students will engage in a project to create a safe and accessible playground for the school community where they can play with their peers who have multiple disabilities. Working together with children of all different abilities, they will consult with experts to create a plan for a truly inclusive play space. Sixth grade students will be journalists and printmakers as they lift up the voices of Muslim and Arab members of their community, focusing on the common roots of Judaism, Christianity, and Islam and experiences of Islamophobia. Ultimately, students will create written, spoken, and artistic work that promotes religious tolerance in their community. Sixth grade students with the help of multiple community partnerships and educators will tell the human story of immigration with a local lens through a professional quality published booklet that will be shared with the the entire Southeastern Connecticut community. They hope to help break stereotypes associated with the label “immigrant” in the United States today. Sixth grade students will establish a robust school garden and school-wide composting system to achieve science, health & math standards, while building their commitment to environmental stewardship. They will create a model to present to the school board that could be replicated at other district schools. Fourth grade students will explore the human impact on the fragile watershed in their community while finding solutions to the problems of this ecosystem. With the assistance of scientists, professionals, and community members, they will learn what it takes to become an E.P.I.C. (Excellence, Perseverance, Integrity and Compassion) super steward. Eighth grade algebra students will put their mathematics to use to try to help the world. They will be prepare data-rich reports on community and state issues that can inform legislators of pressing needs and potential solutions. They will meet with State Representatives and Senators to lobby for positive change on this issues, using their mathematical analyses as evidence for their arguments. High school seniors will study the range of energy sources used locally; will interview stakeholders on all sides of energy debates; and will explore a local issue of energy controversy, such as a proposed new pipeline coming through the district. They will create a professional quality, feature length documentary on these issues and their advocacy for sustainable energy that will be screened for the public in a downtown movie theater to begin a public dialogue on the topic. Fourth-grade rural students will engage in a cross- cultural exchange with Nez Perce tribal youth by collaboratively building a 24- foot cedar plank canoe and a traditional Nimi ́ipuu dugout canoe. Students from the two schools (45 miles apart) will work closely to support each other’s canoe-building efforts while learning about each other’s histories, cultures, and personal histories. Tenth-grade students with tackle difficult issues of race and identity by becoming professionally trained in de-escalation and responding to microaggressions. These students will turnkey their training with other students in their own school community, leading conversations at school and within the wider, local community, and offering training sessions and written materials. Fourth grade students will celebrate the courage and mission of young adult refugees in their city, interviewing them and capturing their stories to share with the community. They will celebrate and bring awareness to the rich culture of student refugees through a film screening of their collaborative process and a book that explores both their interviews and original illustrations of the experience. Eleventh-grade students will work to break down barriers across race and difference in one of the most segregated cities in America. By interviewing and sharing stories from citizens across all neighborhoods they will create a shared, multi-voiced narrative for the city. They will publish a book that weaves together perspectives from a wide range of city communities and also host a block party to bring together citizens in discourse and celebration. Seventh grade students will grapple with what it means to have courageous conversations across cultural differences, working to create positive dialogue in a city struggling with the turbulent aftermath of an African American young man shot by police. Their work will include historical studies of race and civil rights and current research in the community. Through interviews and photojournalism, they hope to bring together city council members, clergy, police, and citizens for positive and restorative dialogue. 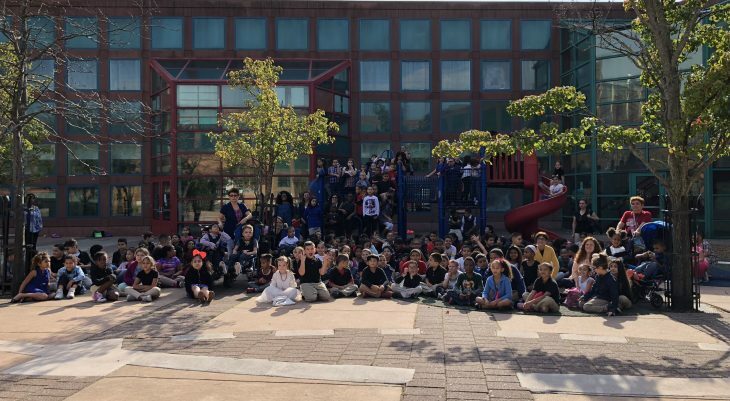 Sixth-grade students will research diverse neighborhoods throughout their city and work with experts to explore the tension between positive urban revitalization and the threat that gentrification can bring to diversity, culture and affordable living. They will travel to four cities who have grappled with some success in this area to research solutions, and will share their learning through writing and presentations. They will work to contribute to positive community identity through a set of public murals across the city created in collaboration with citizens of different neighborhoods. 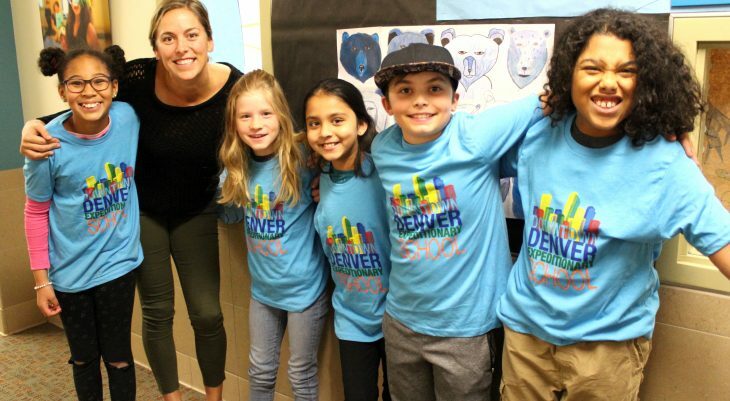 Fourth and fifth grade rural students, more than half of whom are ELL students, will take a week-long road trip across Colorado to experience people and places outside their small isolated community and connect with pen-pals from different towns. They will research different perspectives on local and state history and will create a “living history” exhibit for their local historical museum to bring new perspectives to their community. First-grade students explore the importance of relationships and stories as they exchange personal narratives with elder community members. Through multiple visits and interviews, the young students will share their own stories and work to capture the stories of their elder “grandfriends”, creating written narratives and artistic portraits of themselves and of their elder partners as gifts for the grandfriends. Through this project, eleventh-graders engage with experts, fieldwork, and group research to understand and address food justice issues in their city - access to healthy, affordable food for all citizens. They will work with other schools on this topic and will plan and host a student-led symposium—a city-wide Food Justice Youth Summit—bringing together over 200 students, educators, food-justice advocates, funders and policymakers to discuss research, solutions and policy. High school seniors will investigate a range of crucial social issues that adversely affect their urban community—things like poverty, homelessness, drug use, abuse, and immigration status. Students will engage in research about the nature of the problems and the community-based organizations working to address them; conduct fieldwork, and speak to staff and clients to gain insight into the complexities of social work; will share their research with the school and wider community; and in culmination will award grant money to groups chosen by students as the most deserving local organizations. Meet the Better World Project selection committee composed of teachers, students, and leaders. These projects and hundreds more will be featured during EL Education Better World Day and on Models of Excellence: Center For Student Work, EL Education’s free, open source online collection of high-quality student work designed to provoke conversation, spark innovation, and help create a vision of what is possible in American classrooms. Stay tuned for progress updates from our Citizen Scholars!